In November 2018, the Secretary of State for Housing, Communities and Local Government, James Brokenshire MP welcome our in-depth report on the future of the English planning system, co-published with the Legatum Institute, More Good Homes. He said: “This paper asks important questions on how we maintain an efficient and collaborative market to build the type of homes that people like, whilst maintaining popular and political support. We have strengthened the rules-based approach to planning through the publication of our updated national rule book, but I welcome the challenge on what more we should do to provide greater clarity and certainty. Building more homes better and faster to meet our country’s needs is our absolute priority." Create Streets’ research into public preferences was cited in a House of Commons debate on November 30th on the importance of beauty in the built environment by John Hayes MP. Speaking in the same debate, the Housing Minister Kit Malthouse MP's response echoed very many of our own points: "We are therefore supporting high-quality, high-density housing such as mansion blocks, mews houses and terraced streets, typical of the English urban townscape and rural context with which we are all familiar." In October 2018 the Centre for Social Justice Housing Commission published its interim report. Our director, Nicholas Boys Smith, is a member of the Commission which was chaired by Lord Best. The Policy Exchange publication Building More, Building Beautiful echoes closely many of the key Create Streets arguments about the importance of popular support for new buildings and beauty in design, as well as the use of community codes to achieve both of these outcomes. In the May 2018 Local Elections in Kingston, London, the Liberal Democrats included a commitment in their manifesto to 'work with others, such as Create Streets, learning from them, to make sure Kingston gets high quality, low rise, suitable density developments that create homes, rather than the current developments of tall luxury tower blocks.' The party won control of the council. On Wednesday April 25th, the Ministry of Housing, Communities and Local Government held a 'Design Quality' Conference, attended by two government ministers. The shift towards high-level and high-profile discussion of quality in design and how to achieve it is in line with Create Streets' arguments that improved quality will lead to increased support for new housing. The draft London Plan, published in December 2017, requires that new plans should be 'street-based with clearly defined public and private environments.' (Policy D1) Beautiful street-based design with clear fronts and backs underpin much of our research into great and popular places. The draft London Plan also supports the greater use of Design Codes. 'All outline applications referred to the Mayor should be accompanied by thorough design codes' and boroughs will be required to prepare area-wide design codes on small sites, to 'promote good design and to proactively encourage increased housing provision.' Create Streets have frequently argued for the increased use of Design Codes in the UK planning system to increase certainty and lower 'barriers to entry' to SMEs and self-builders. This addition to the London Plan is a potentially significant change to how planning works in London - though the codes will need to be worked to be worked up with communities not at them. In September 2017, Labour leader Jeremy Corbyn used his speech at the party conference to call for councils to hold ballots of tenants and leaseholders before pursuing estate regeneration; and also for people living on estates to be given a home on the same site and on the same terms. These are both things that Create Streets have advocated. In September 2017, co-design, which Create Streets have consistently argued is preferable to mere consultation, was discussed by the Mayor's Design Advocates at their first meeting. In September 2017, the Mayor’s Draft Housing Manifesto was published. Much in it supports Create Streets’ argument, particularly section 5.3 which seeks ‘Community support for homebuilding.’ The Draft Manifesto states that the Mayor will ‘support Londoners to be involved in planning and delivering new homes,’ and community-led development where ‘the community is integrally involved in key decisions, such as what kinds of homes are built, where, and for whom,’ as well as a ‘Community-led Housing Hub’ to empower residents. There was also a focus on ‘quality’ of new homes and ‘well-designed’ new homes and new neighbourhoods, and support for ‘mid-rise residential’ typologies. In September 2017, Create Streets and our research were cited in a British House of Commons debate on New Housing Design by MPs from both sides of the house including the Conservative Neil Parish MP and Labour's Luke Pollard MP. Neil Parish MP also wrote widely about the need for good design in winning support for new homes, in Politics Home, the Mid Devon Gazette, and Conservative Home. In June 2017 Create Streets and our ideas were reflected in the manifestos of both the main parties for the British General Election. The Conservative manifesto stated their support for: ‘high-quality, high-density housing like mansion blocks, mews houses and terraced streets.’ The Labour Housing Manifesto promised to ‘build the homes and neighbourhoods that local communities want. In March 2017, Housing Minister Gavin Barwell made a speech echoing our points on the importance of good design and the politics of new housing. In February 2017 the Government’s Housing White Paper reflected much of our research, publications and policy suggestions into popular co-design – you can read our essay on the White Paper Eleven Pipers Piping... here. In December 2016 the Government’s Estate Regeneration Strategy reflected much of our research and advice – particularly in the Good Practice Guide which also cited our book, Heart in the Right Street. Our Director was one of the members of Lord Heseltine’s panel. Officials in The Royal Borough of Kensington and Chelsea have recommended that plans lodged to demolish the Affinity Sutton Estate in Chelsea should be rejected. This was because they do not include enough replacement social and affordable housing, and the proposals are of insufficient high design quality and would not positively contribute to the surrounding townscape. Congratulations to the campaigners on the estate. We wrote about the estate previously, outlining how the proposed plans actually reduced the overall amount of housing on the site. On 10 July 2016 we were named as one of the 2016 New Radicals, one of the “50 radical-thinking individuals and organisations changing the UK for the better” by Nesta and The Observer. On 27 April 2016 at at the Mayoral Assembly London Mayoral candidates signed up to London Citizens’ Good Development Standard reflecting Create Streets principles of co-design. On 6 April 2016 the Evening Standard editorial wrote: “As Zac Goldsmith has pointed out, there also needs to be a focus on high-density, medium-rise housing in central London. London could accommodate far more people, as Paris does, by dint of building apartment blocks, like mansion blocks, which house large numbers of people without impinging on the skyline. How we build matters.” We think that means they are supporting us! In March 2016 Sadiq Khan and Zac Goldsmith launched their Manifesto and Housing Manifesto respectively. Sadiq Khan has proposed intensifying estates with a mixture of ‘in-fill’ development and estate regeneration where ‘there is resident support, based on full and transparent consultation, and that demolition is only permitted where it does not result in a loss of social housing or where all other options have been exhausted, with full rights for displaced tenants and a fair deal for leaseholders.’ Amen to that. We were delighted to see that Zac Goldsmith has really engaged with our work and the issues of direct planning, community consent and the need for rules and processes to change in order to deliver that. On 17 February 2016 the Centre for Social Justice (chaired by member of Create Streets network John Moss) published Home Improvements, a Social Justice Approach to Housing Policy. In reflecting the importance of design and of co-design for estate regeneration, this picked up on much of our research and evidence. On 9 February 2016 our director joined the Prime Minister’s Estate Regeneration Advisory Panel chaired by Lord Heseltine to ‘look at how the layout of estates can be best used to deliver more quality homes that people can buy and rent’. The panel met for the first time at the York Road Estate in Battersea. On 29 January 2016 GLA Planning Committee report Up or out: a false choice reflected our arguments on role of terraced streets, cited our work and even used one of our pictures! On 25 January 2016 London Citizens’ Housing Manifesto 2016 called for “a decision-making steering group made up of local people affected by a development must be included to work alongside the developer.” We were delighted to sit on the independent panel that fed into London Citizens’ manifesto. On 25 January 2016 the Barnet Labour Housing Commission chaired by Nicky Gavron ALM supported our policy to ‘involve residents on regeneration estates in the co-design and planning of their new estate from the outset’ and cited our research. On 20 November 2015 the Direct Planning (Pilot) Bill received support from Labour and the cross-benches in the House of Lords and passed to Committee Stage. Thank you to Lord Lexden for his support and to the Government for offering to discuss next steps. On 27 October 2015 Create Streets was delighted to be a partner organisation to the BIMBY (Beauty-in-my-back-yard) toolkit for local communities alongside the National Trust, the Local Government Association, Civic Voice and others and to speak at its launch. Read more about this project here. On 8 October 2015 and alliance of architects and place-makers announced their support for the Direct Planning Bill we are promoting in House of Lords. On 28 September 2015 mayoral candidate Zac Goldsmith MP, supported our plans for community-led regeneration in London. He repeated this support in his speech to the Conservative Party Conference on 6 October 2015. 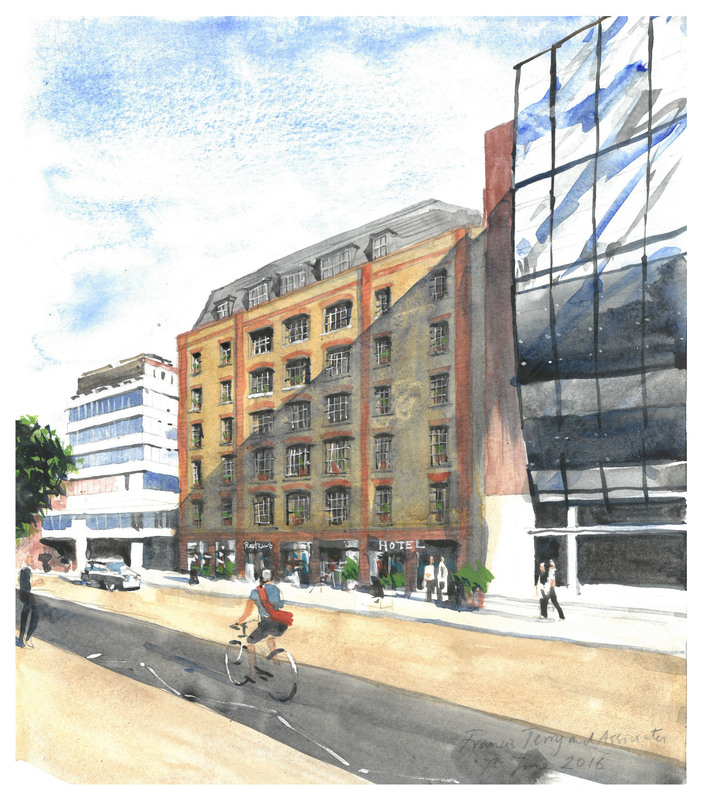 On 17 September 2015 our proposals at Mount Pleasant for the Mount Pleasant were supported by Labour’s London mayoral candidate, Sadiq Khan MP and shortlisted Conservative candidates Zac Goldsmith MP and Andrew Boff ALM. On 17 September 2015 our research was cited in evidence to the House of Lords Select Committee for National Policy for the Built Environment. On 17 September 2015 we gave evidence to the GLA Planning Committee on estate regeneration. On 9 September 2015 Nick Hurd MP cited our research in a parliamentary debate in Westminster Hall. We have attracted support for our ideas from a wide range of London mayoral candidates in hustings and debates. .In March 2015 Lord Adonis (Shadow Minister for Infrastructure and advisor on housing to Tessa Jowell) published City Villages with the IPPR which took on board some of our points and cited our research. In March 2015 the Chair of the London Assembly Planning Committee, Nicky Gavron ALM, cited our work in a letter to the Mayor of London. In December 2014 we were asked to join the Government’s Design Panel alongside Sir Terry Farrell, Quinlan Terry, Roger Scruton and RIBA, RTPI, the Prince’s Foundation for Building Communities and the Design Council. In September 2014 the London Labour mayoral candidate, David Lammy, called for ‘innovative ways of building high density but high quality housing in the form of Victorian-style terraces or low-rise blocks’ and cited our analysis. (p.15). In September and July 2014 our work and the issue of streets vs. blocks was discussed in the London Assembly by the Mayor of London, Boris Johnson who agreed with some of our analysis on the impact of rules on built form. You can see the videos here. In April 2014 the Government commissioned Savills to calculate the potential of our estate regeneration proposals. In March 2014 the Budget followed our suggestion and created a £150m fund to help finance estate regeneration. The prospectus was published in June 2014. It follows many Create Streets principles as well as mentioning Create Streets by name (p.6). In March 2014 we were cited in the Farrell Review into Architecture and the Built Environment (p.78) and gave evidence to the London Assembly Planning Committee on density and design in London.